This emotional rollercoaster describes the journey of one man losing his lifelong partner to cancer and details how he tries to come to terms with the bereavement and prepares to face life without her. It is an absorbing read, taking you right back to the early days of courtship and romance, and how the young couple married and moved from their native land in Mauritius to set up life in Australia. 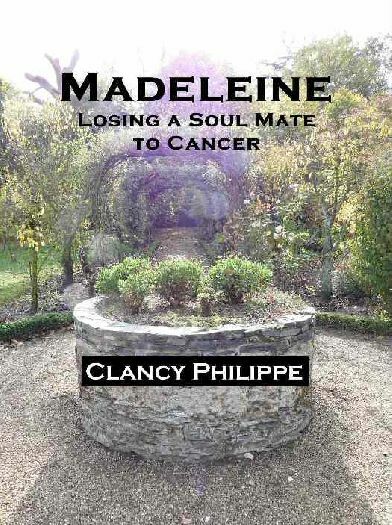 Cancer appears on the fringe of things with minor effect until Clancy’s wife Madeleine is diagnosed with the disease herself. The couple's courageous ongoing battle over a number of years is detailed along with the emotional highs and lows many families face when dealing with this disease in their midst. What makes this book stand out above others is that the author has with great openness, honesty and often raw intimate detail poured out his heart as he struggles in his efforts to save his wife from what turns out to be a terminal illness. After her passing, the reader is left feeling the emptiness, the loss and utter despair as if it was their own. The remainder of the story will surprise and provide plenty of food for thought. There are few authors who can in the simplicity of their writing make the words smile through the tears. A beautiful never-ending love story showing great courage from both sides of the divide.